“An open bottom for easy movement” = Easy access Brah! 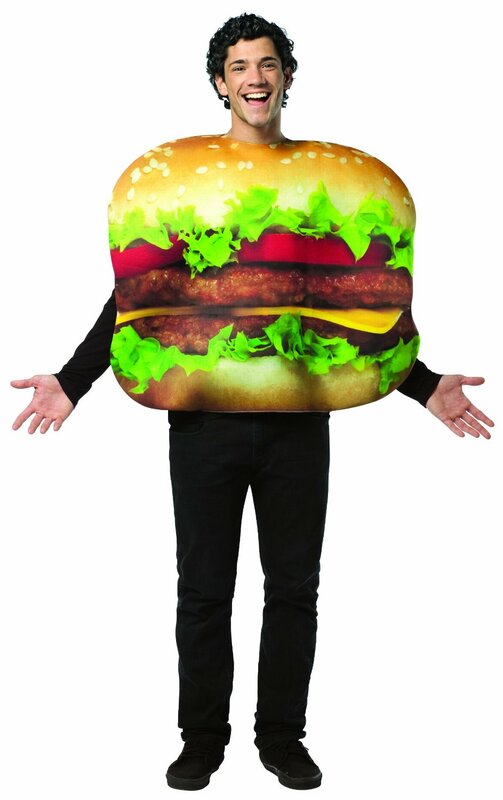 As for the idea of being a cheeseburger…Brilliant…As long as I lived in a vegetarian environment, thus eliminating the fear of being eaten. Or…what about living with cows, as a cheeseburger? That would be just loony. I mean, you ARE what WAS the thing standing next to you. Think about it. 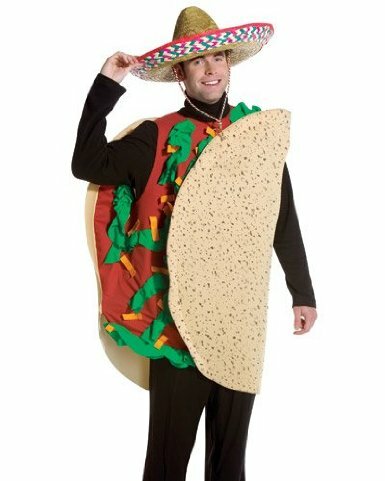 And what the hell does a sombrero have to do with being a giant taco?!?! Seems a tad “racist” if you ask me.